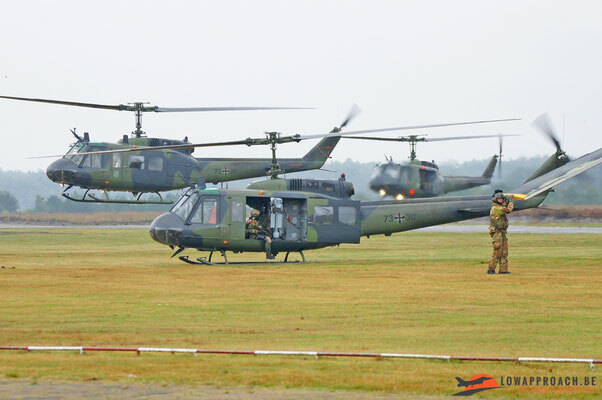 Between September 18th and October 5th, 2012 Belgium was the host nation for a multinational helicopter exercise called “ Green Blade / Pegasus “. 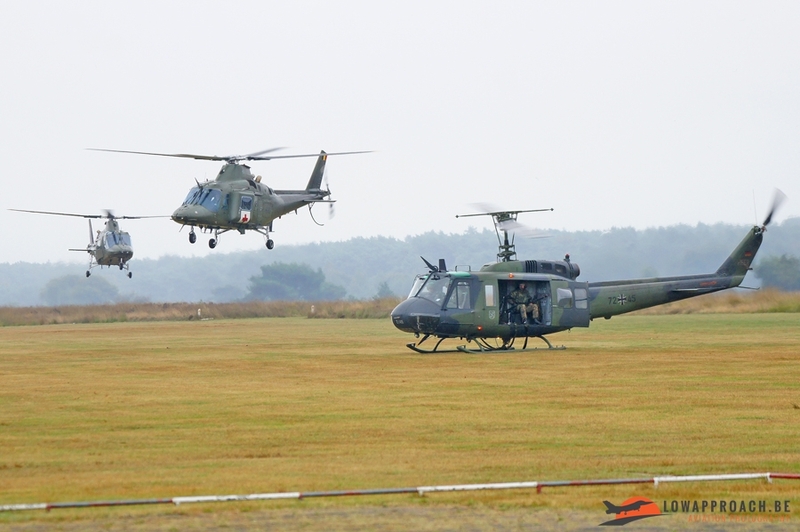 Kleine-Brogel Airbase served as a Deployed Operating Base for both exercises Green Blade and Pegasus. Green Blade was the fifth helicopter training exercise in a row organized since 2009 by the Helicopter Exercise Program (HEP) while Pegasus is a Special Forces exercise from different countries. 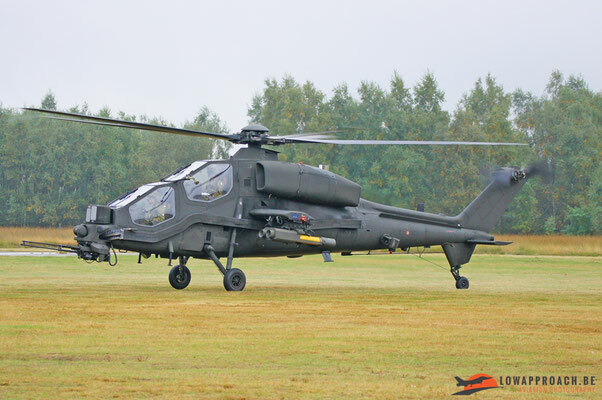 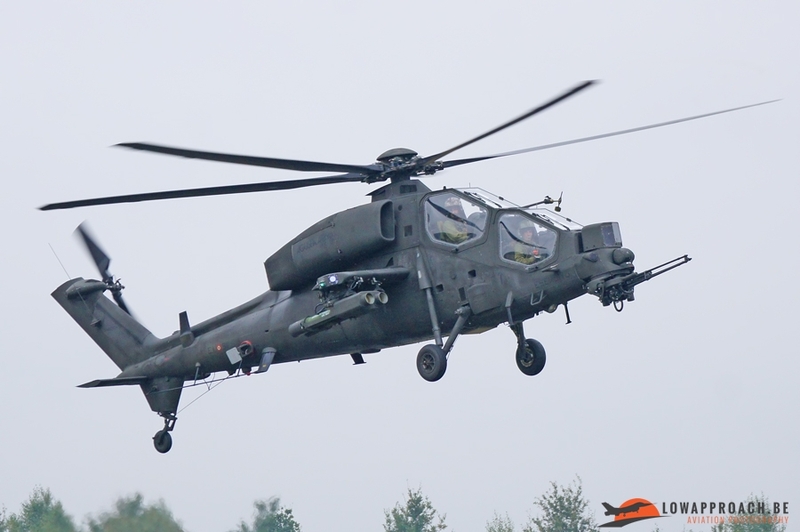 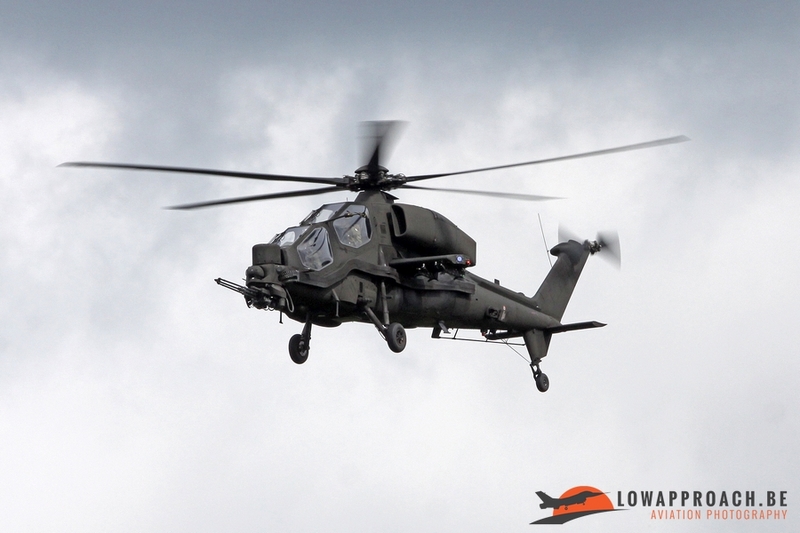 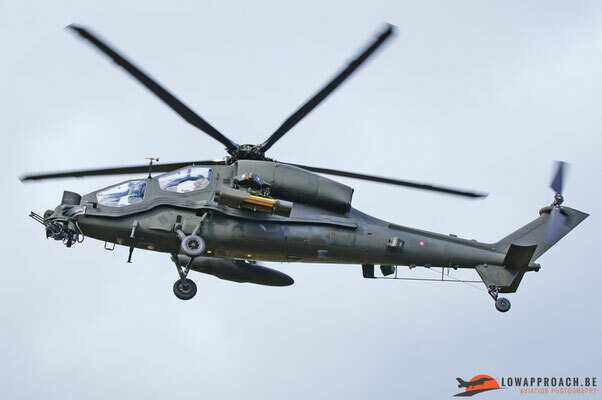 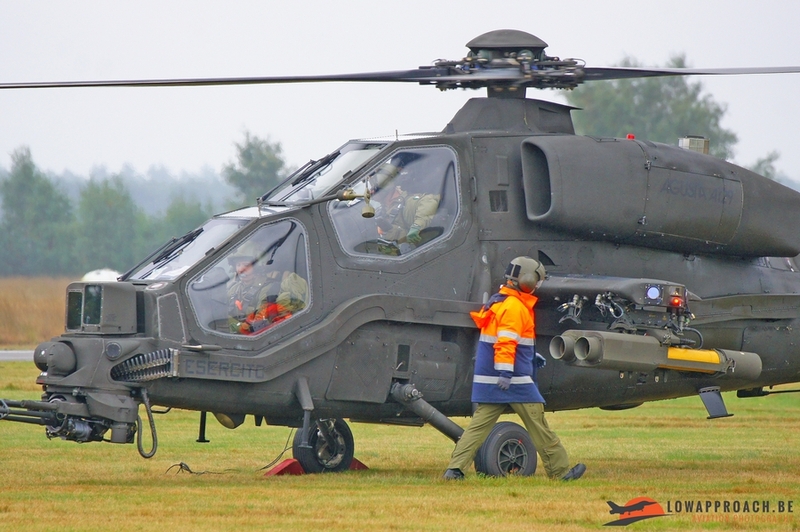 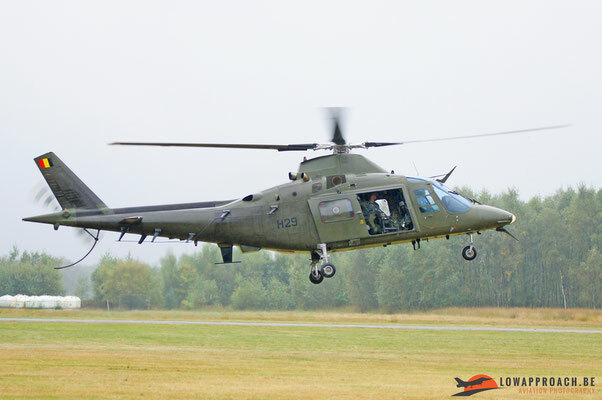 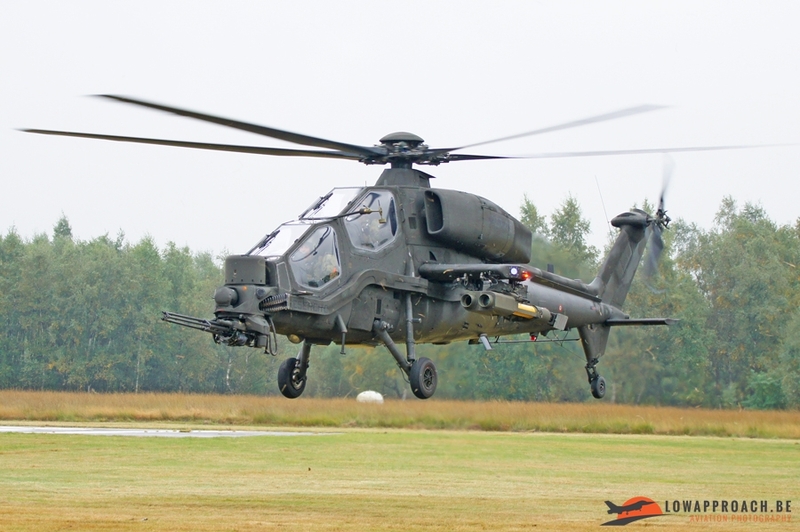 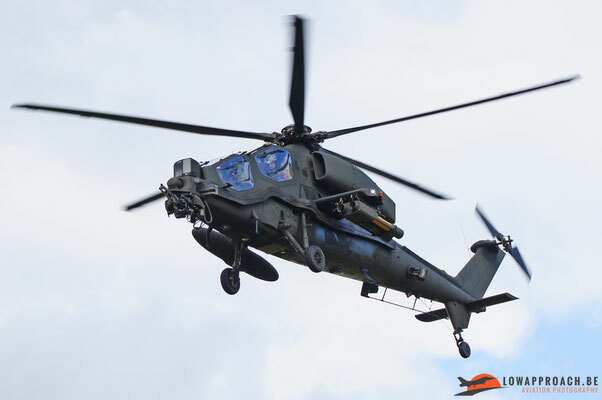 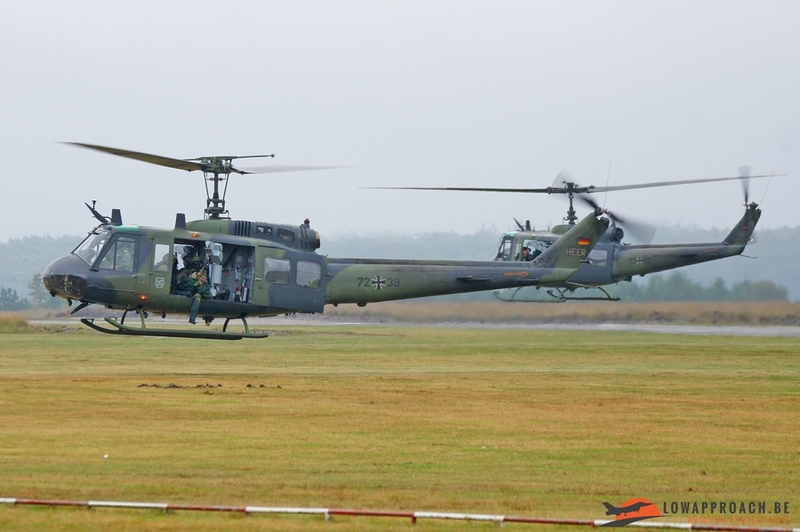 About fifteen helicopters from three different countries arrived at Kleine Brogel on Monday 17 September to participate. 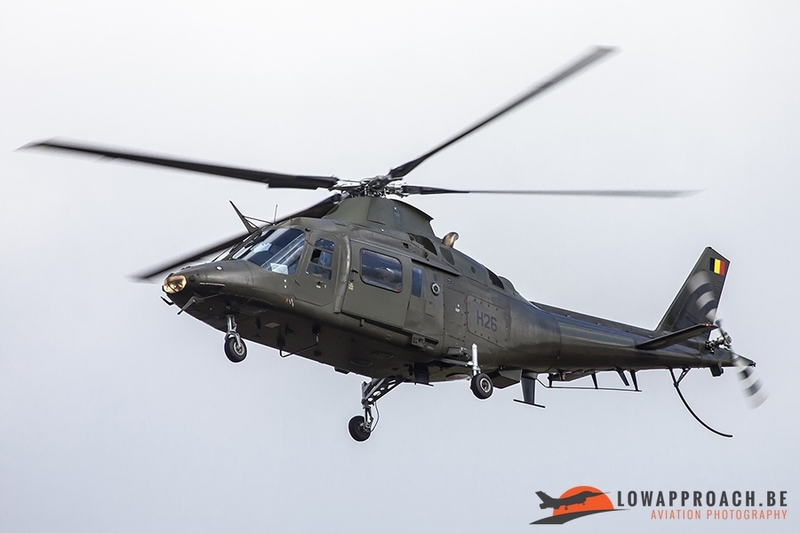 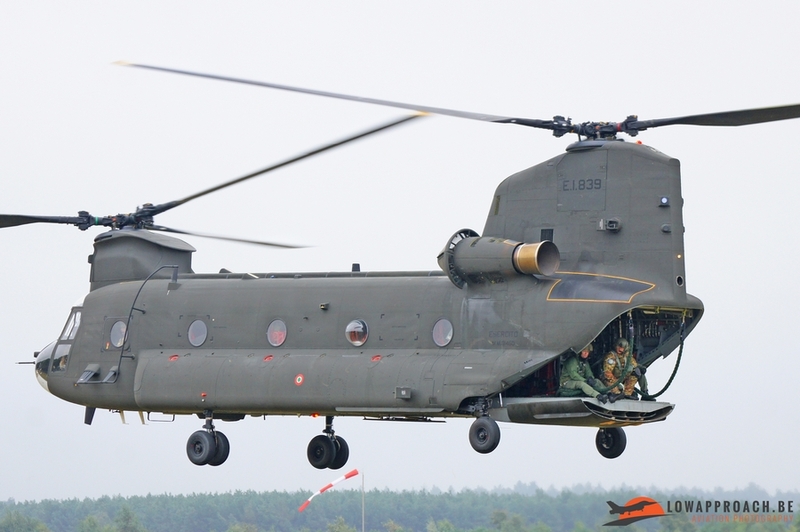 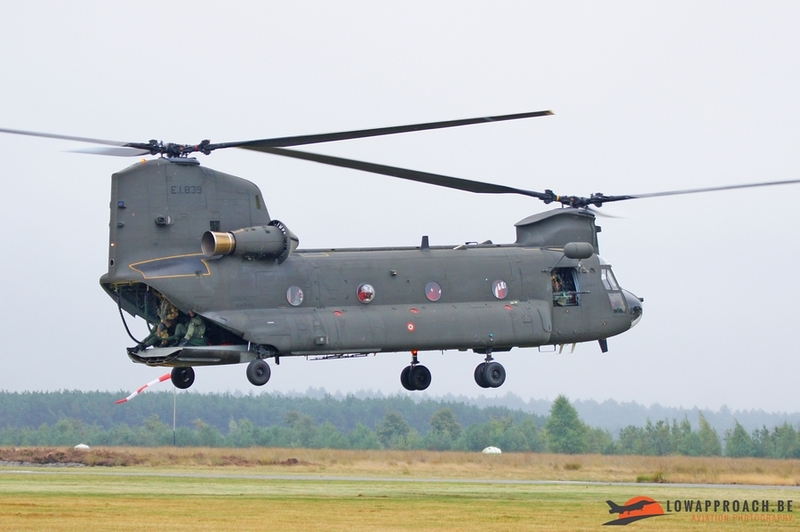 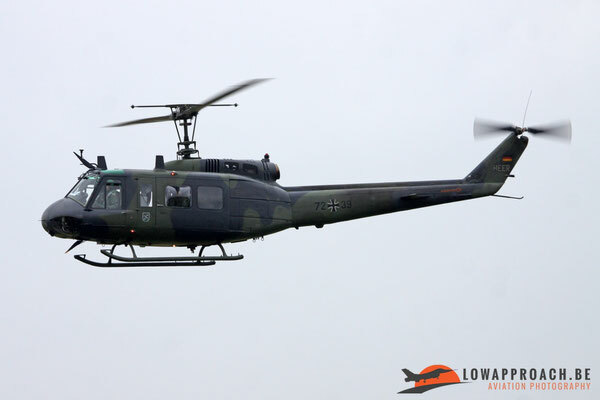 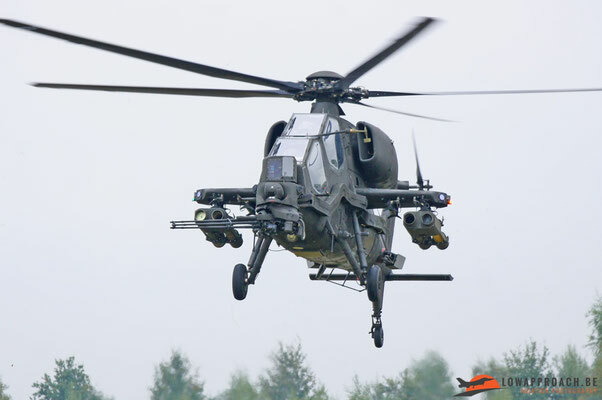 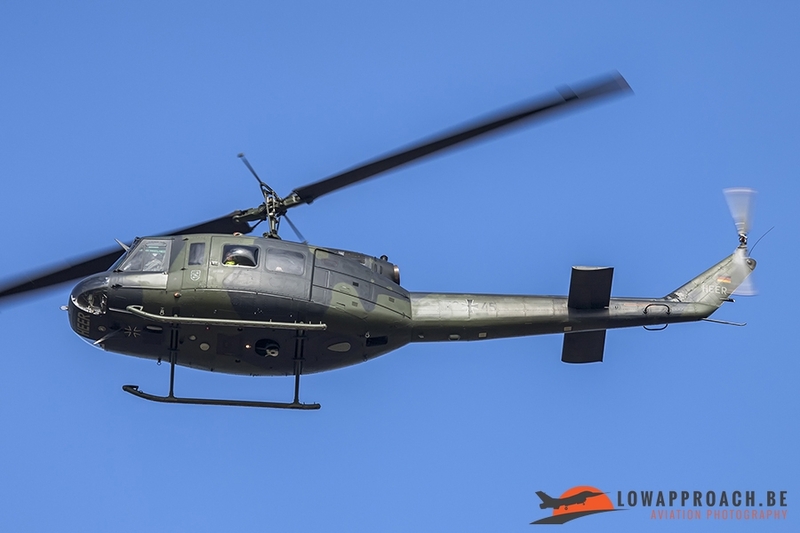 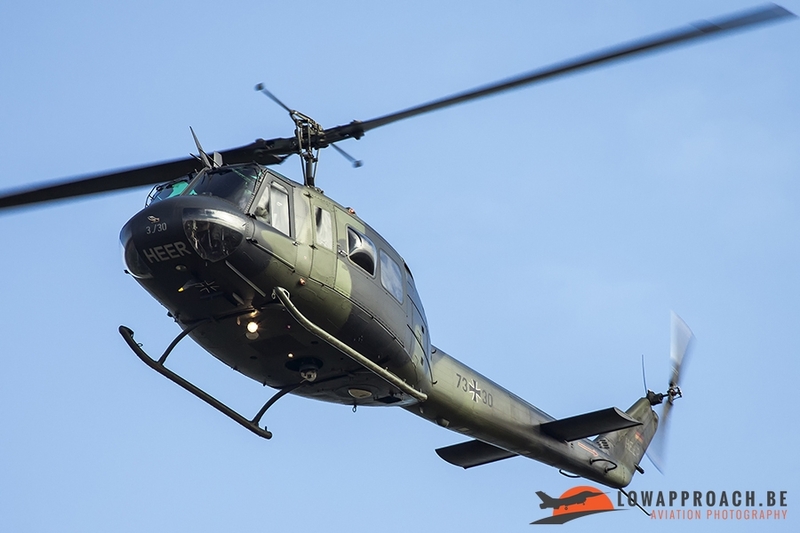 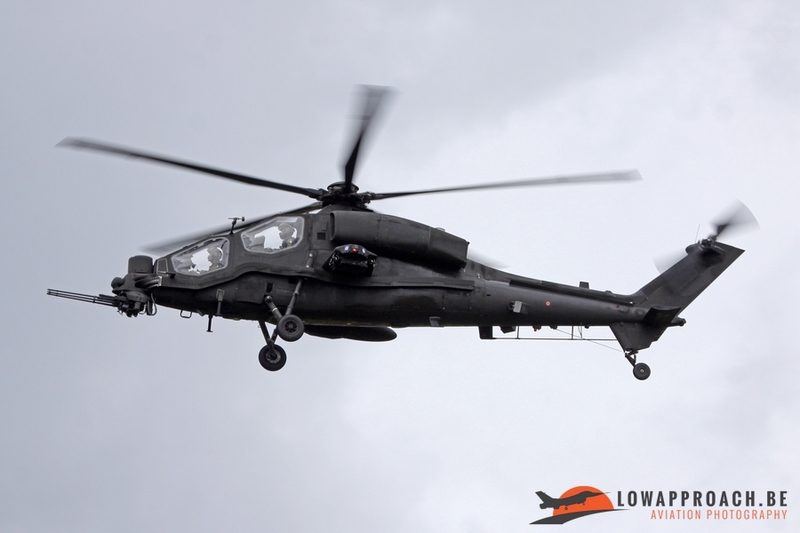 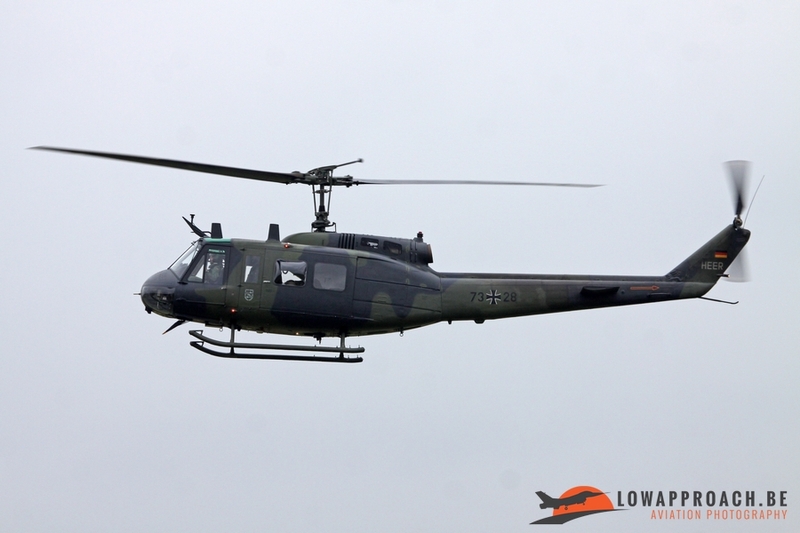 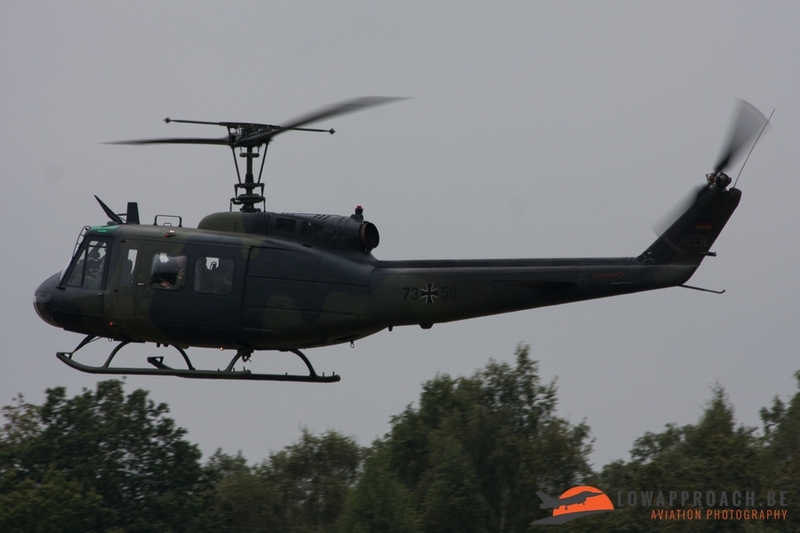 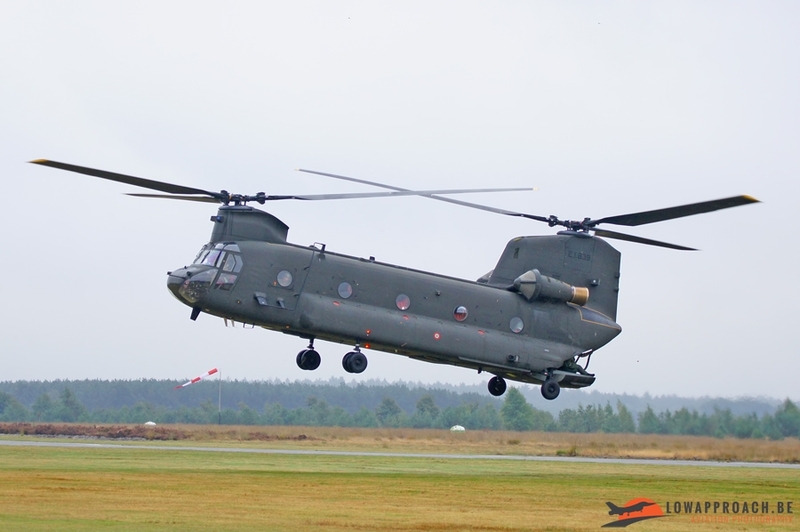 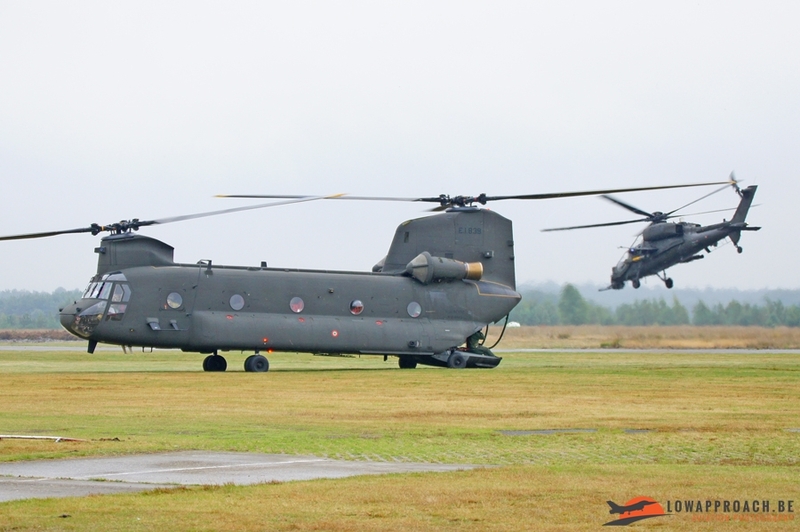 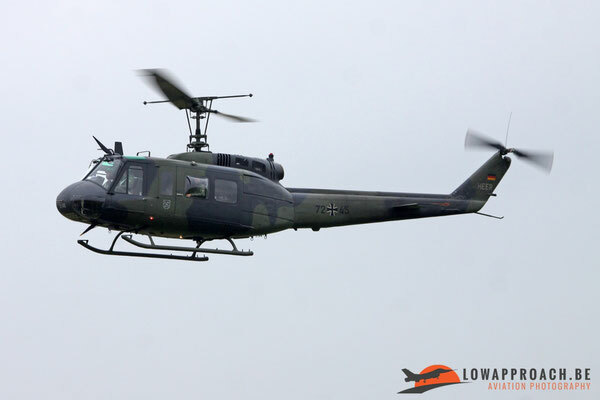 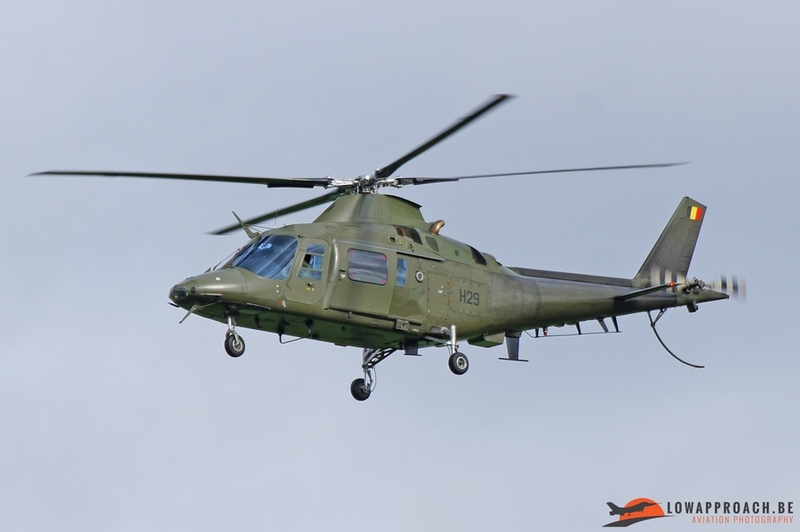 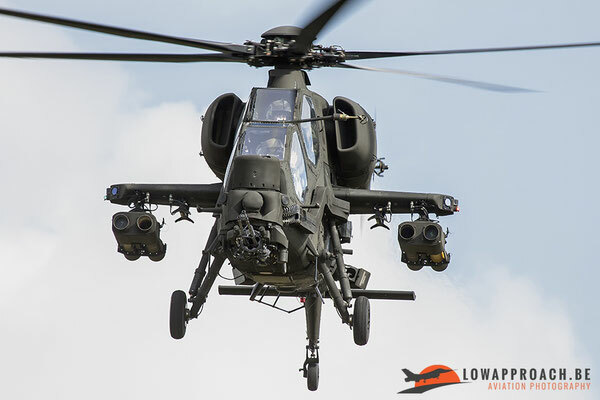 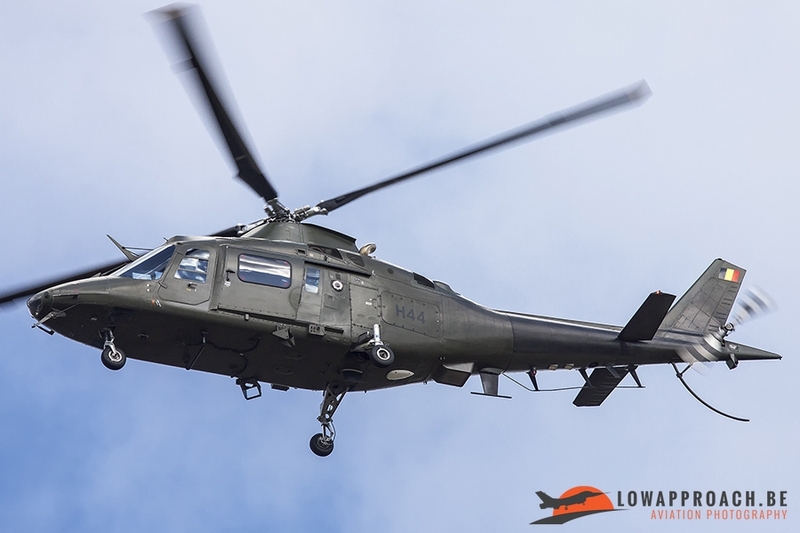 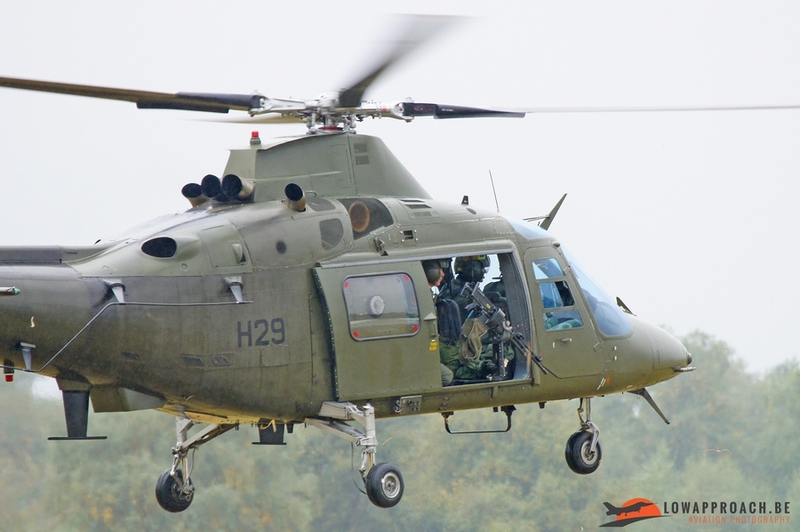 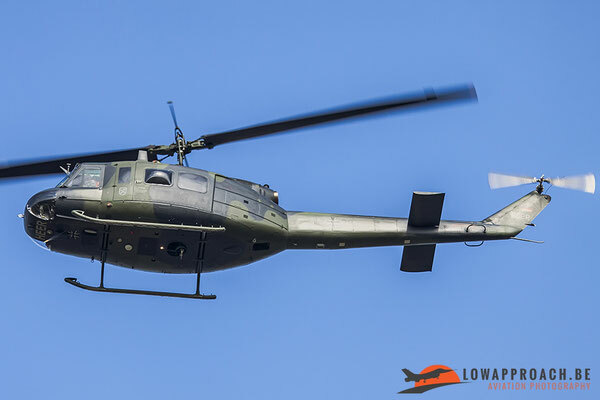 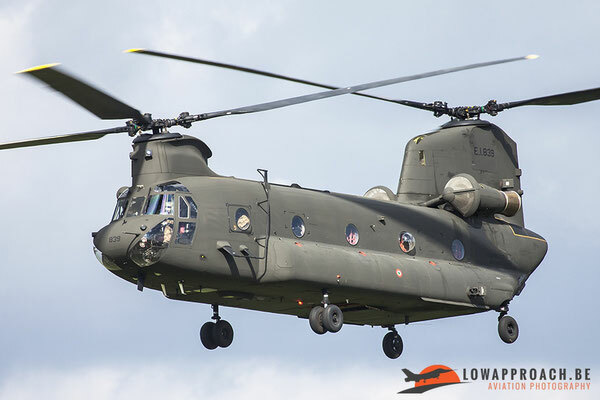 Belgium participated with five Agusta A-109BA helicopters from 1st Wing based at Beauvechain, the German Army (HEER) came to Kleine-Brogel with six UH-1D Hueys from the base Niederstetten, Germany from Transporthubschrauberregiment 30 (THR30). 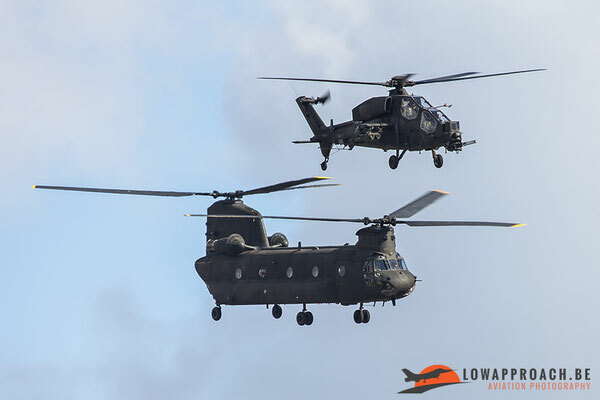 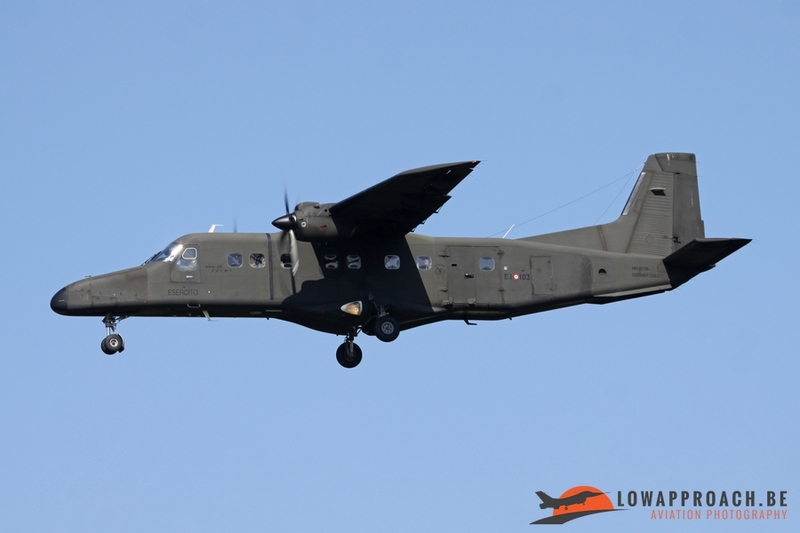 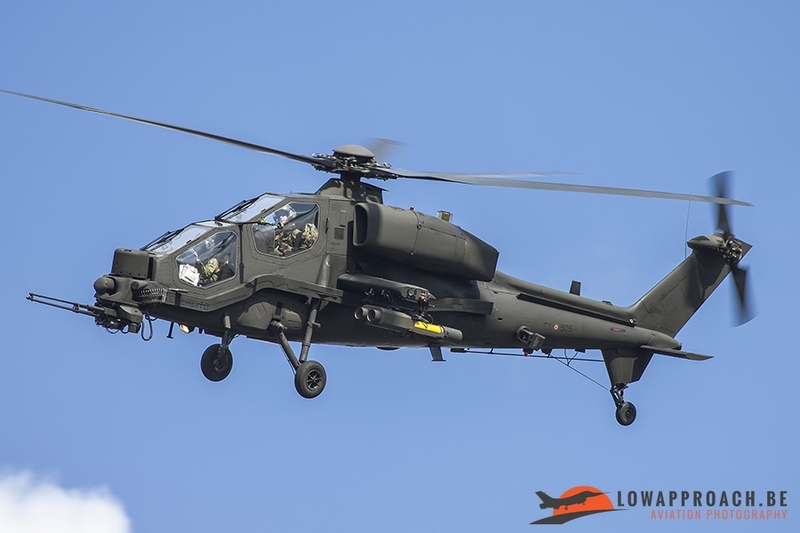 The last country that participated was the Italian Army participating with two Agusta A-129C Mangusta attack helicopters from 5° Reggimento “Rigel”, based at Casarsa della Delizia and two CH-47C Chinook transport helicopters from 1° Reggimento “Antares” in Viterbo. 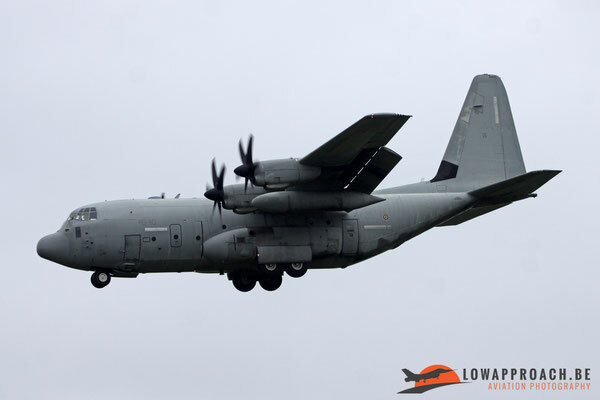 The Belgian Air Force also provided two Lockheed C-130 Hercules transport aircraft, 2 B-Hunter UAV’s and four Lockheed Martin F-16’s to support and participate in this exercise. 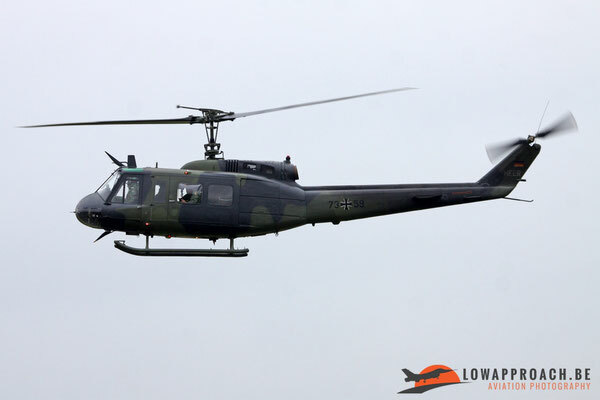 During the arrivals and the weeks from the exercise various members from Low Approach visited Kleine-Brogel to photograph these helicopters when they departed or returned from their mission. 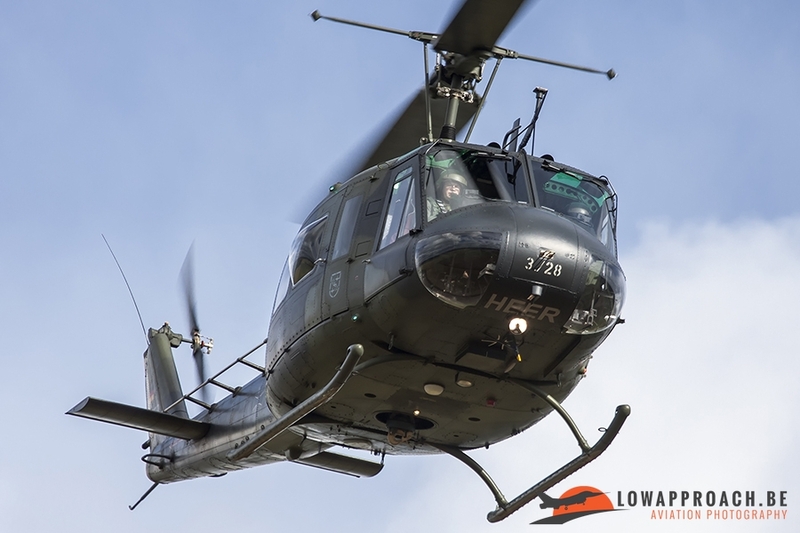 Below you find a small photoreport of these days. On Tuesday the 2nd of October there was a special press day that was organized at the airfield of Sanicole in Hechtel. 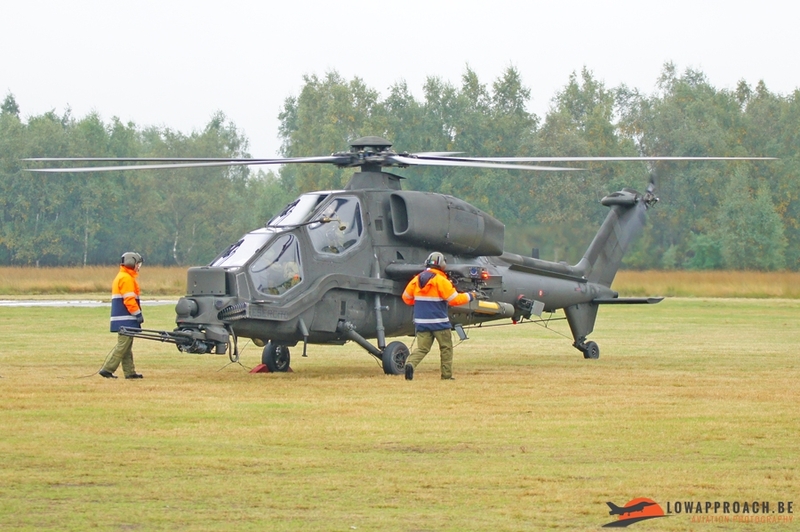 Alain Meykens attended this pressday and made following pictures.